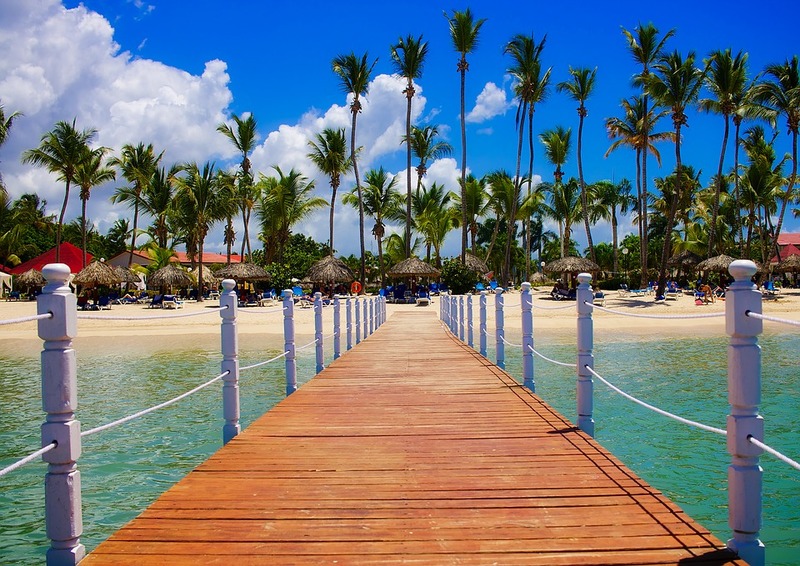 The Dominican Republic is the most visited country in the Caribbean, due to its nice tropical weather and paradise beaches, with the cleanest and most transparent water you’ll ever see. It is also a wonderful place to go if you are into music styles like merengue or bachata, or if you love tasty and exotic Creole food. This little piece of heaven may seem small, but believe us, it is huge in many terms. It has a great deal of interesting places to visit and an incredible quantity and quality of tropical fauna and flora, that you can only enjoy here. 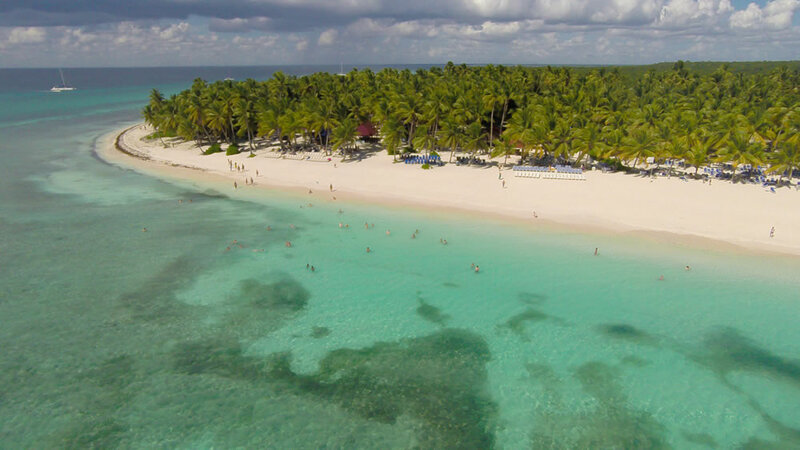 In this post we are going to tell you about the 5 best places to visit in the Dominican Republic. Take note and have your suitcase close to you. We are sure that after reading this article, you’ll wish to take the next plane to DR. 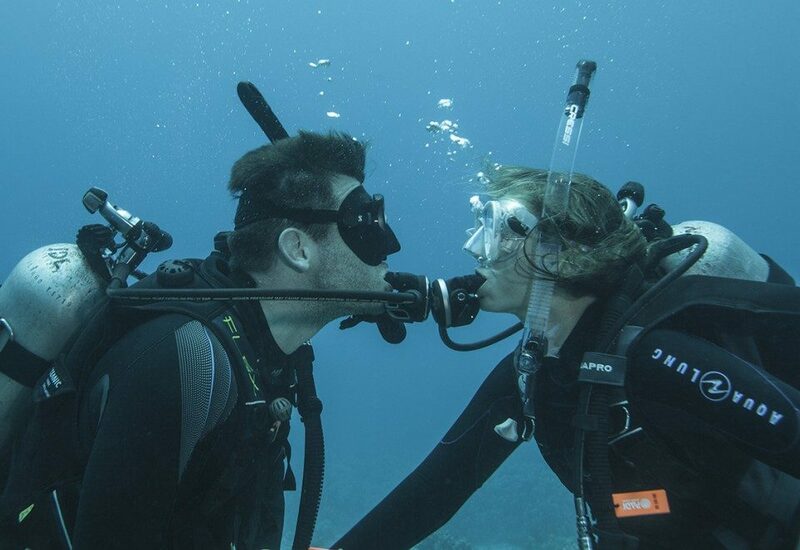 This wonderful island is one of the favorite spots of many divers worldwide. The reasons are its beautiful reefs, which are among the best in the world. In addition, it has many exotic species of turtles, seagulls, iguanas, manatees and dolphins. In Saona Island you will also find awesome natural swimming pools, with turquoise clear water. These pools are 700 meters in diameter, and they are only one meter deep. Swimming there, while you enjoy a cool rum & coke, is the closest thing to heaven that you’ll find on Earth. 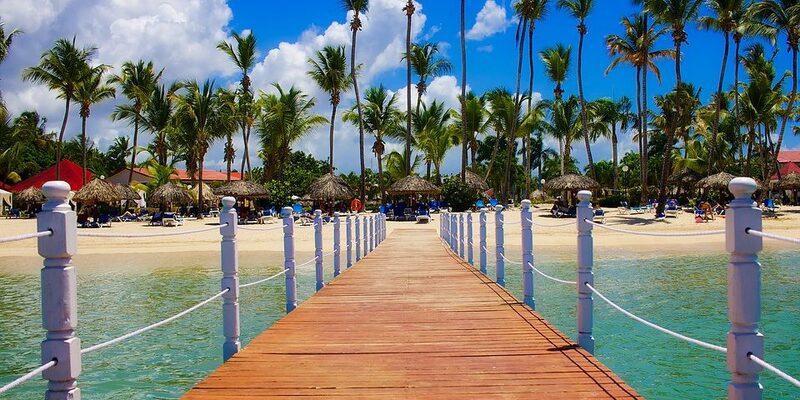 Definitely, Saona Island is one of the 5 best places to visit in the Dominican Republic. This small island was discovered by Christopher Columbus in 1494. He was the first European to view these wonderful virgin beaches, with white sand and warm turquoise waters. I wonder if any of the many sunken galleons at the bottom of the sea were of any of his buddies. Catalina Island is uninhabited by people, but is covered with coral reefs, exotic fish, starfish and other colorful species, to delight your eyes. 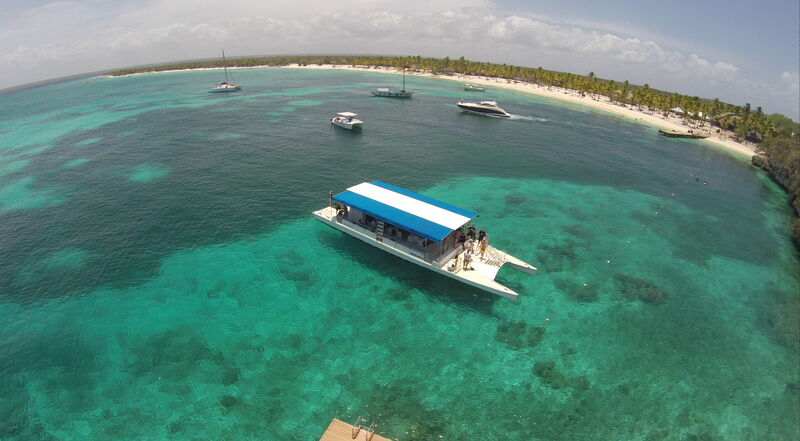 It is a wonderful place to practice diving or snorkeling, or any kind of water activities. 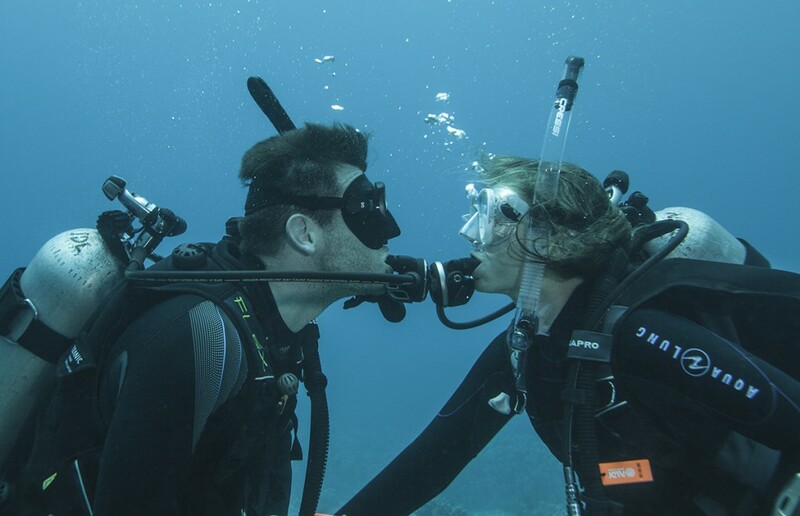 If you are an avid diver, you should try the Catalina Wall. Its coral reef is incredible! 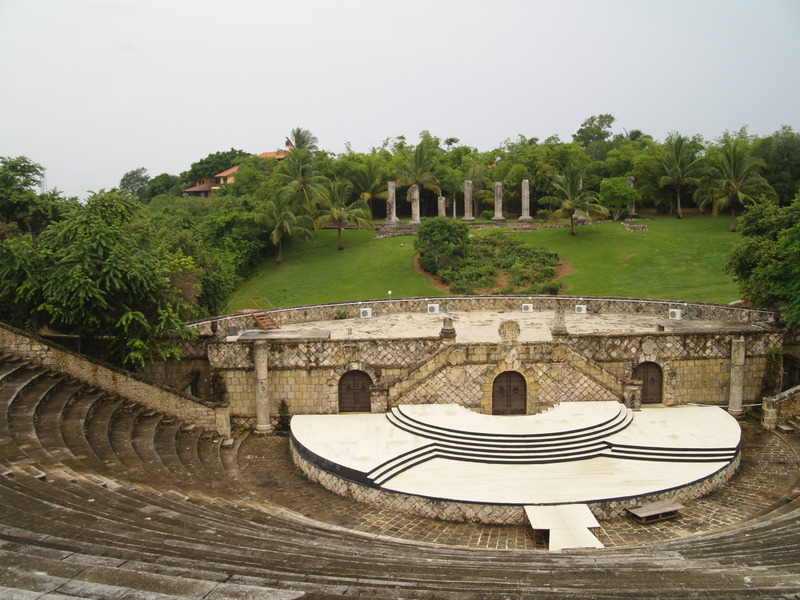 The third of the best places to visit in Dominican Republic that we recommend is Altos de Chavon. It has one of the most beautiful riverbanks in the Dominican Republic. 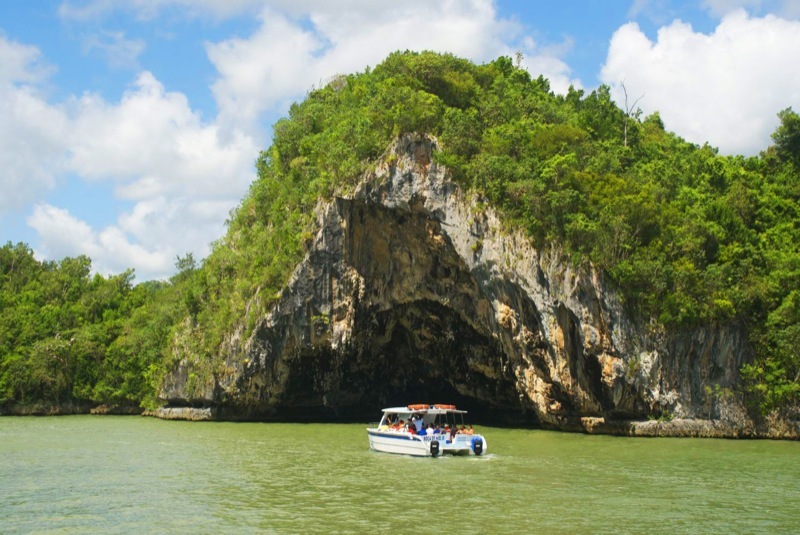 At its mouth, the river flows into an imposing cliff, completely covered with tropical vegetation. Several popular films have been filmed along this river, such as Rambo, Apocalypse Now or Anaconda. 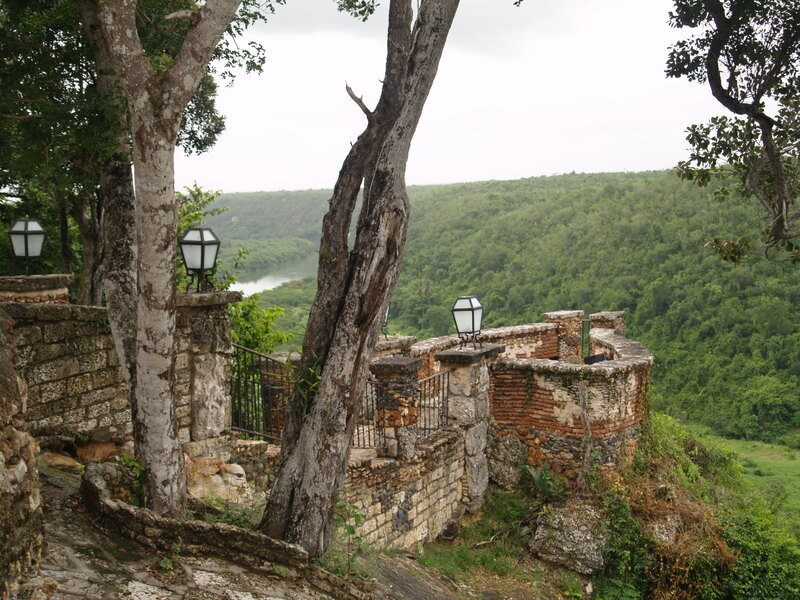 On the top of the river there is Altos de Chavon, a little village with cozy cobbled alleys, old houses, a church, fountains, a Roman amphitheater, a cultural center and an archaeological museum. And if that weren’t enough, there are a few restaurants with delicious fish, rice and salads. 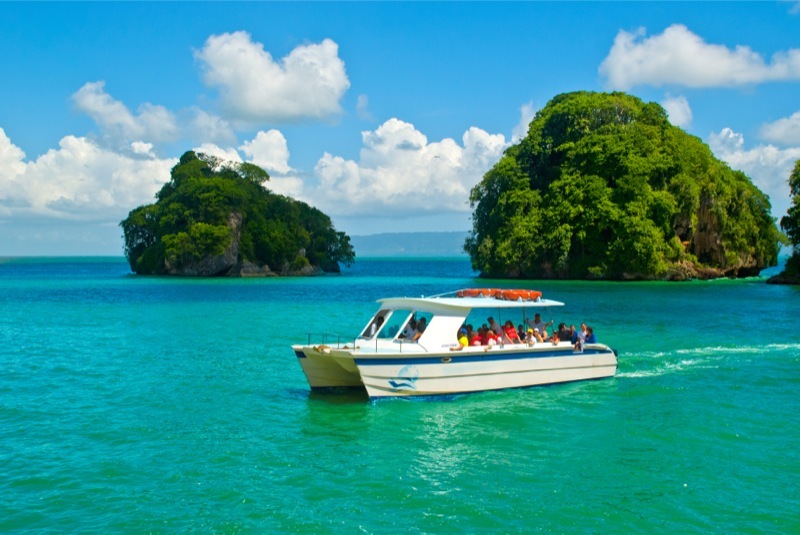 This natural park was created in the Dominican Republic in June of 1976. It also has been the scene of many films, among which we highlight Jurassic Park. Los Haitises is formed by rocks and limestone tropical mogotes, typical of these climatic zones of the earth. Its flora basically consists in tropical trees like copeys, figs and almonds. You can also find beautiful flowers like orchids. On the other hand, its fauna consists of some endangered exotic mammals, like native bats, hutias, and solenodons. 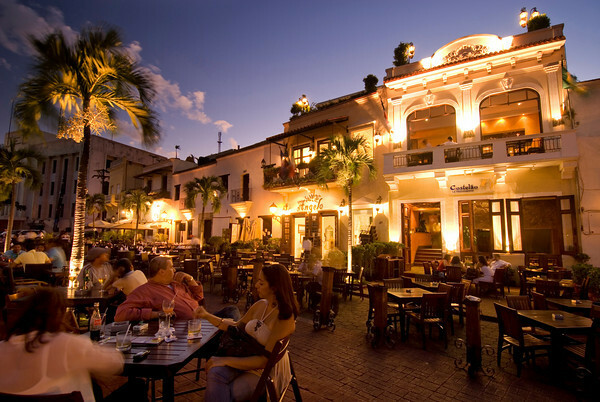 Colonial City is the beautiful historic central neighborhood of Santo Domingo, and it is the first city founded by Europeans in America. In 1990 it was declared a World Heritage Site by UNESCO, and believe us when we say it’s worth a visit. 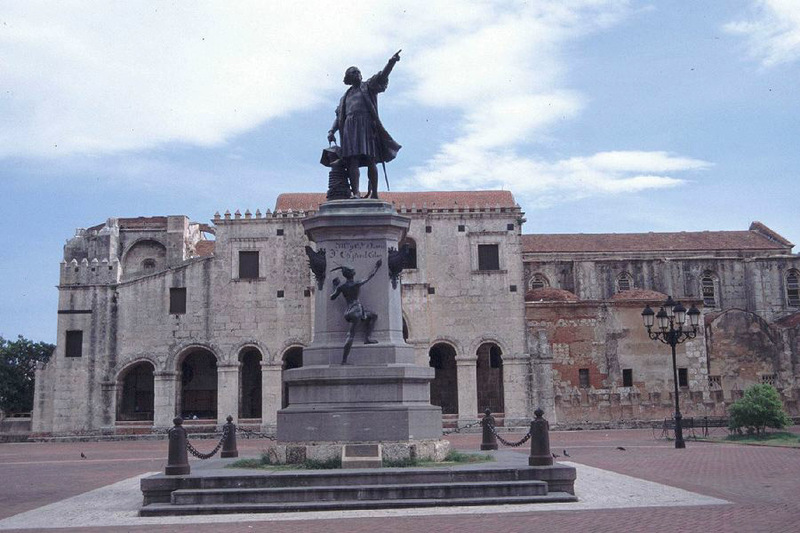 It has many colonial buildings of great touristic value, such as Alcazar de Colon (which belonged to Diego Colon, son of Christopher Columbus), Museo de las Casas Reales o Catedral Primada de America. More than 300 historic buildings, which any lover of culture should visit at least once in a lifetime. These are the 5 best places to visit in the Dominican Republic that we recommend you, but this great country has many more things to see. 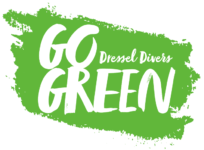 Check out all the excursions that Dressel Divers has for you in the Dominican Republic. Do you have your suitcase ready?